Hello lovelies!! Im glad everyone enjoyed my polish cabinet upcycle yesterday! 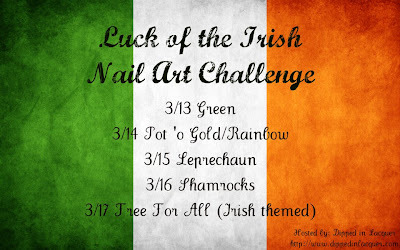 It feels good to be back in the blogging game after my break and I am super excited to be participating in the Luck of the Irish challenge hosted by Dipped in Lacquer. 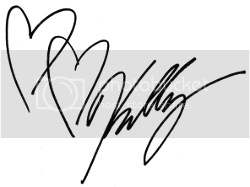 Be sure to check out all of the other participating bloggers, and head over to Dipped in Lacquer's facebook page to join in on her non-blogger contest. 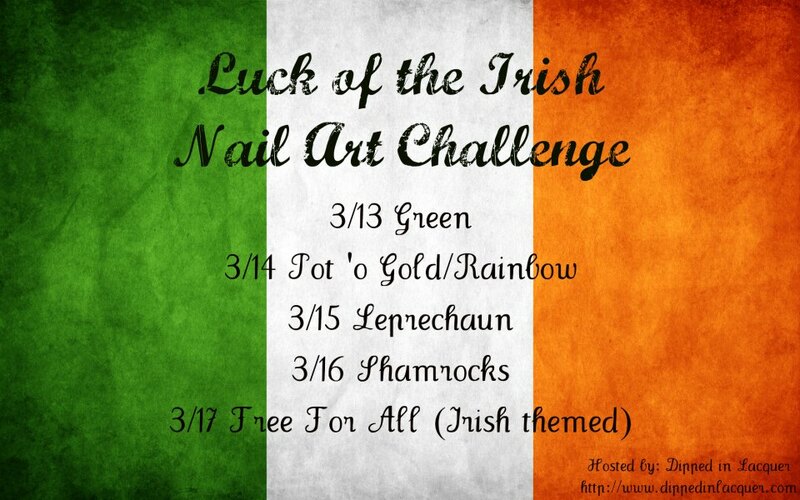 So, today is green and my first thought went immediately to green beer. I had done beer nails last year (right before I started blogging) for a party at my mom's bar, so the twist of green seemed like a fun idea! Instead of doing two coats of Toss My Salad, I layered one even coat over one coat of A-Englands Holy Grail. Then I used my white Stripe Rite to draw the mug lines. For the brothy head, I put a drop of OPI Alpine Snow and a drop of A-England's Morgan le Fay on a piece of foil and mixed them together with my medium dotting tool. Then I randomly dotted it on my nails. It doesn't show well in pictures, but it was totally cool in person lol! !